Recently my husband told me about this movie called Boyhood, where the same cast was actually filmed over the course of 12 years. Crazy right!? But it's awesome nonetheless. Photographing my friend Jennifer's family the past couple of years has been a similar experience. You look back on past photos and wonder how time has flown so quickly. Jennifer's daughter matures so much each time I see her, and one day she's going to be EXACTLY like her mother. The resemblance is already uncanny and she's barely 4. I am so glad I get to photograph their beautiful and growing family. These are the last photos of just the three of them, and soon there will be a new little one to embrace! 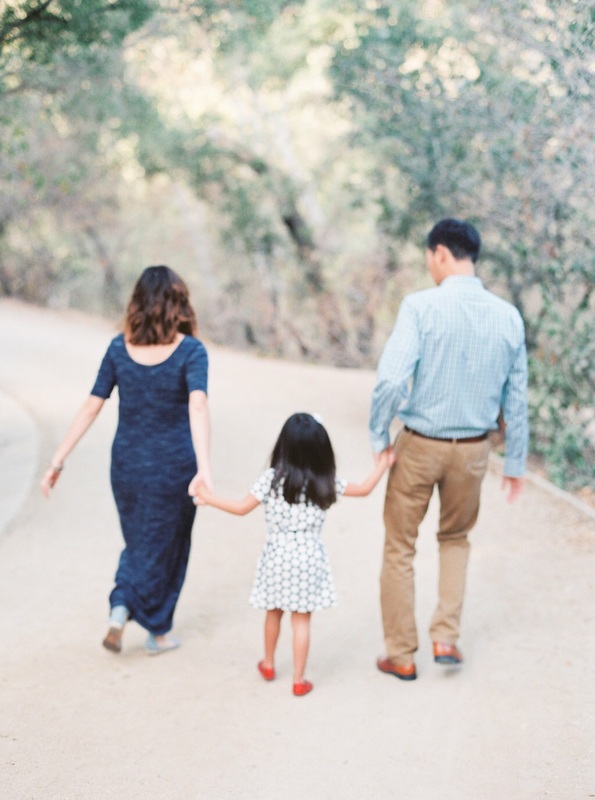 Here are snippets from their fun and quirky family session in Irvine, Orange County.